Endeavour Mining posted revenue and production increases for Q3, positioning itself to meet all key guidance metrics for the year. Endeavour Mining (TSX:EDV) delivered positive third quarter results that saw both revenue and production increase during the three-month period, allowing the miner to meet all key guidance metrics for the year, the company announced on Wednesday (November 7). 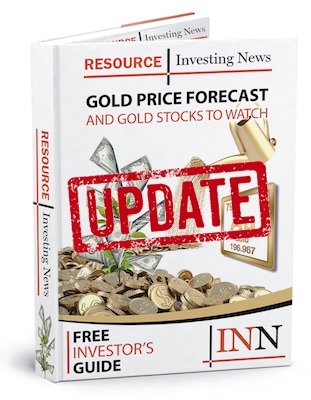 During Q3, Endeavour produced 139,000 ounces of gold, which accumulated in 438,000 ounces of gold for 2018 thus far, allowing the miner to be on track to meet its upper-end of the full year 2018 (FY-2018) guidance of 555,000 ounces to 590,000 ounces of the yellow metal. “Our operations have performed well through the third quarter and we are now well positioned to meet all of our key guidance metrics for 2018,” stated Sébastien de Montessus, president and CEO. Production increased significantly year-on-year thanks to the commissioning of the Houndé mine as well as output increases at the Ity and Karma mines, as both benefited from higher recovery rates and better grades. All-in-sustaining-costs clocked in at US$820 per ounce in Q3 and US$759 per ounce for year-to-date 2018, placing it on-track to meet the bottom-end of the FY-2018 guidance of US$760 to US$810 per ounce. The company also posted an all-in sustaining margin of US$40-million at the end of the third quarter, totalling US$207-million so far in 2018, up 43 percent from the same period last year. Given the robust quarterly outcome, Endeavour revealed that it expects Q4 to post even greater positive results. “Production across our portfolio is expected to increase in Q4-2018 due to the end of the rainy season in West Africa,” stated de Montessus. On the financial side of things, the company posted an operating cash flow per share (before non-cash working capital) of US$0.42 for Q3 totalling US$1.94 for YTD-2018, which increased 30 percent from this time last year. The company also posted a net debt of US$535-million at the end of the third quarter, which was up from the US$410-million the miner posted at the end of Q2. The increase was the result of the Ity CIL construction progressing ahead of schedule. Endeavour noted that it is well positioned to finance the remaining Ity CIL construction. Looking forward, the company is focusing on progressing construction at Ity CIL, which is expected to have its first gold pour in early Q2 2019. The miner also plans to release the maiden resource for its Kari Pump discovery at Houndé in the coming weeks. “[I]n Q3 we continued to achieve positive results from our exploration programme,” noted de Montessus. “We recently announced a maiden resource at our greenfield Fetekro property in Côte D’Ivoire, and we expect to follow this with a maiden resource at the Kari Pump discovery at Houndé in Burkina Faso in the coming weeks,” he added. As of 1:41 p.m. EST, Endeavour was down 1.95 percent, trading at C$19.57.